Located 1.4 mi from Tulum Archaeological Site in Tulum and just a 5 min drive or 15 min. walk to downtown, this air-conditioned villa features a patio. It provides free private parking. Free WiFi is featured throughout the property. The kitchen comes with a microwave. Towels and bed linen are provided in this villa. 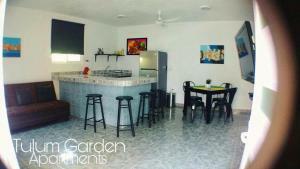 Other facilities at Tulum Gardens 2 include a barbecue. 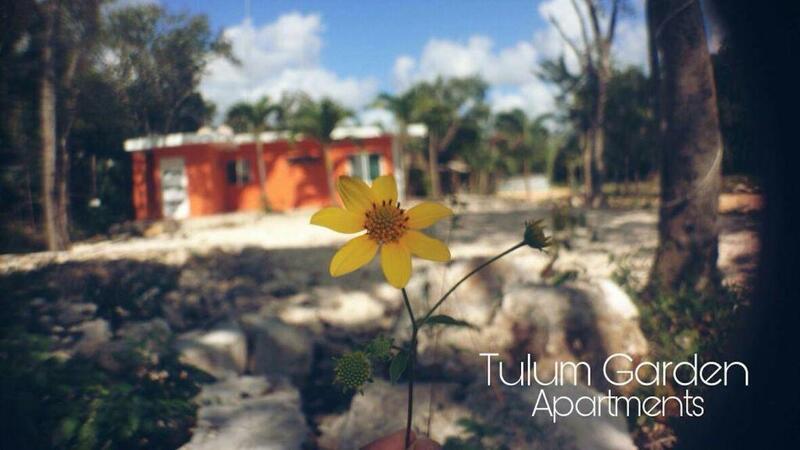 Tulum Bus station is 1 mi from Tulum Gardens 2, while Bus station Tulum Ruins is 1 mi from the property. You can engage in various activities, such as diving and fishing. Cozumel International Airport is 39 mi away. 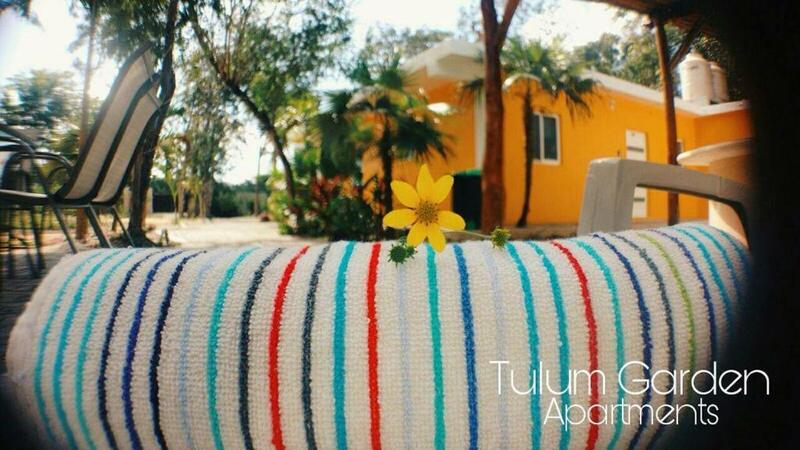 When would you like to stay at Tulum Gardens 2? This villa has a microwave, barbecue and patio. This Villa has everything you need. 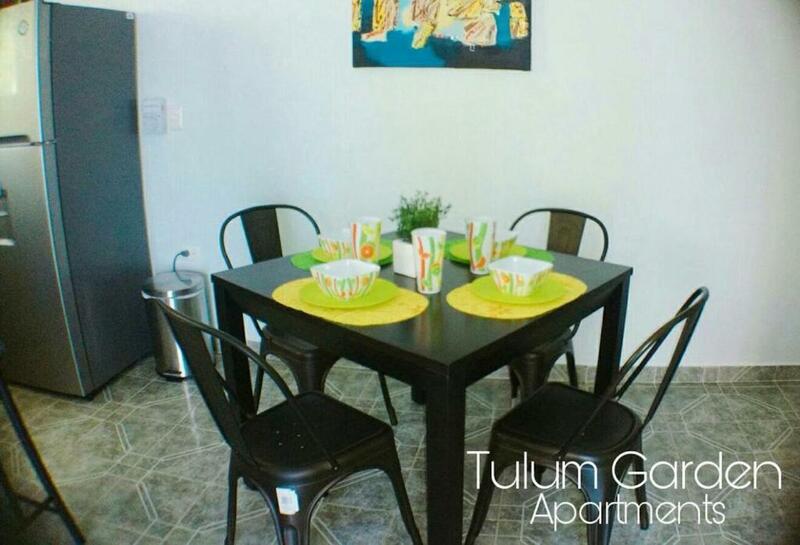 Safe and close to any touristic attraction, restaurant, or beach that you want to visit. It has a big and beautiful patio with a huge Palapa, and a BBQ Grill! 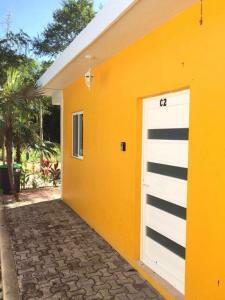 Inside you have a Flat screen TV, fast Internet and Wifi, super comfortable Bed, private shower, AC. What else could you need for your vacations? My place is great for solo adventurers, couples and business travelers. You need a getaway? This place is great. 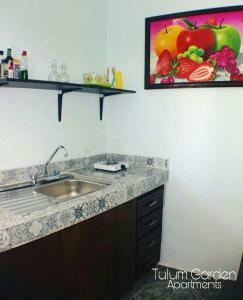 The neighborhood is safe, quiet, is a short walking distance to town, has many great restaurants and mini-markets. House Rules Tulum Gardens 2 takes special requests – add in the next step! 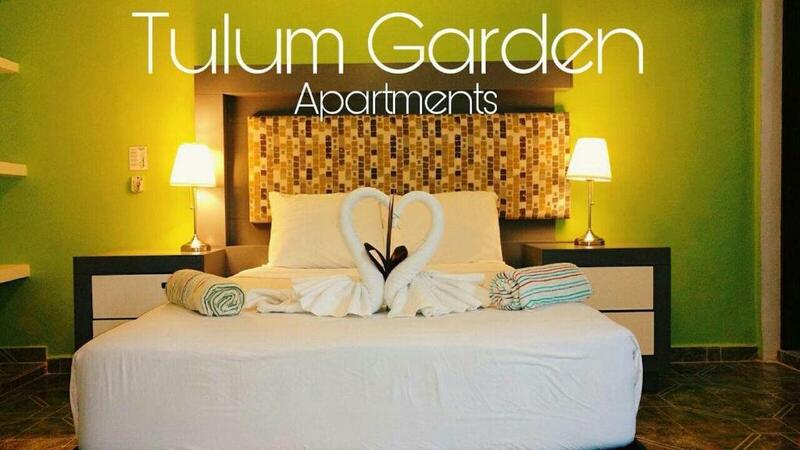 Tulum Gardens 2 accepts these cards and reserves the right to temporarily hold an amount prior to arrival. 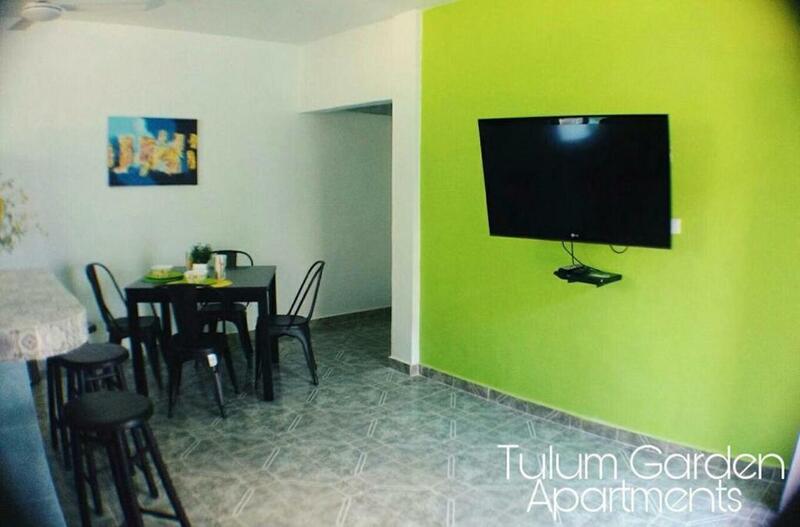 Please inform Tulum Gardens 2 of your expected arrival time in advance. You can use the Special Requests box when booking, or contact the property directly using the contact details in your confirmation. We need at least 5 reviews before we can calculate a review score. If you book and review your stay, you can help Tulum Gardens 2 meet this goal.